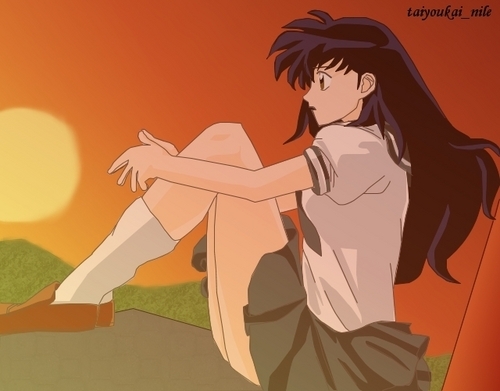 Kagome Watching the sunset. what the タイトル says. Wallpaper and background images in the 犬夜叉 club tagged: kagome. OMG! Ur Very GOOD!!! I LOVE It!! !